Author ranginuiPosted on December 12, 2009 Format ImageCategories Crayon, UncategorizedTags Christmas, KahurangiLeave a comment on Christmas decorations are go! 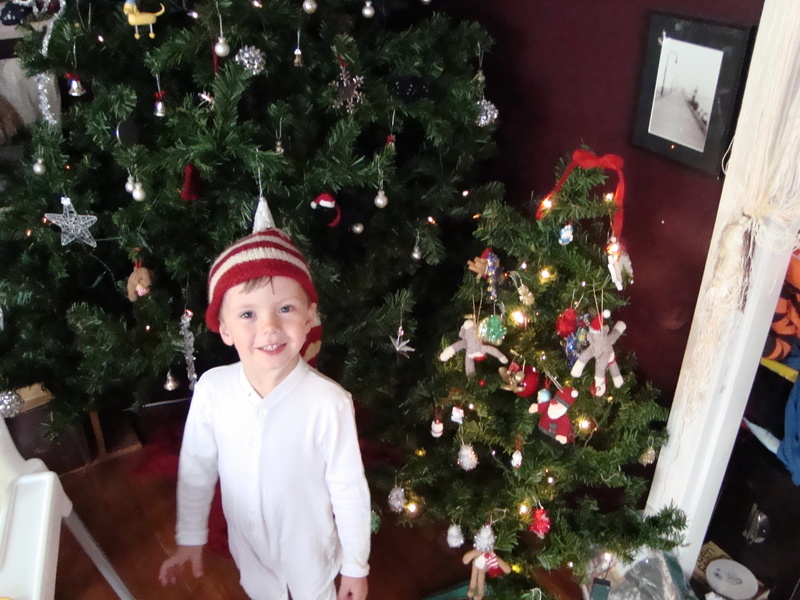 Kahurangi started the day off by getting into the mood early with his Santa hat. Then we headed out to my parents place in Upper hutt. Kahurangi was very excited to check out what was under the tree. Kahurangi and Manaia had some arguments but mostly shared pretty well. There was the usual tons of good food, good conversation and lots of laughter, all in all a great day.